The new offering from Samsung, the Galaxy Note 9, launched in 2018, comes with a set of amazing and cool features. This exceptionally powerful mobile phone has the latest camera for the shutterbugs and how can you forget the distinct feature of the Note, – the S Pen. However, the device is far from perfect and has its share of common issues you must resolve. If you are one of those users facing problems with this device, you may not fret; instead, look for the right solutions to fix those issues. Resolving the issues facilitates the smooth operation of your device. The procedures are simple and easy to follow when you run into problems with this mobile phone. Here are some of the most common Note 9 issues and their fixes. One of the problems you may hear about the big screen of this mobile device is that the apps are not utilizing the full display. With a 6.4-inch screen, which is longer and thinner than most of the other mobile devices, the problem can bother you endlessly. The 2:1 aspect ratio may make the phone easy to hold and use, but you may notice black bars at the top and bottom of some of the apps, just as it can be seen on a television with a widescreen. 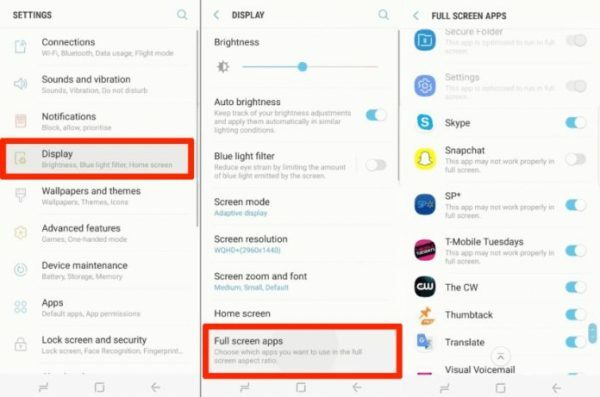 Ideally, the games and applications should scale up to fit the full screen of the mobile device but if they do not use the screen entirely, there are some easy fixes available. You can pull down the notification bar and move to Settings which resembles a gear-shaped icon located at the top right. Locate those apps not included and switch on the mode of full screen. Your phone is now ready to scale the apps automatically and cater to the aspect ratio properly to fill the display with the content. Apart from this, you will notice an Expand button present on each app when you are present in the latest app switcher which does the same thing without following the above-mentioned procedure. This is a shortcut method to follow in a jiffy. If the app does not look suitable in the full-screen mode, you can go back to Settings and put it off. Despite having a 4000 mAh battery, the Samsung Galaxy Note 9 is not a champion when it comes to battery life. Although a fully-charged mobile is enough to cover your day, you cannot expect more from this mobile device beyond a day. If you are experiencing major problems with the draining of the charge you can follow this simple procedure to overcome the issue temporarily. In most of the cases, the draining of charge in this device is due to the overly active applications that come with poor programming. You can visit Settings and then move to the Device Maintenance Battery and finally to the Battery. Scrolling down will help you find out the consumption of the apps installed in the smartphone and allow you to make the necessary changes. A lot of users have reported problems regarding the navigation keys that are based on software. Many of these keys present at the bottom of the screen of this device become unresponsive while using. Although the issue may be intermittent, according to the users, you may need about ten to twenty taps to move through a command and the problem does not want to go away until you restart the device. Primarily, the issue is restricted to those devices that use the default Samsung Experience Launcher. Whatever it may be, the issue may be resolved with the help of a few steps. A simple restart might clear this issue at least temporarily. According to a user, changing the theme of the device through Samsung Theme app can solve this problem. While this may seem comical initially, you can give it a good shot when you face this issue consistently. 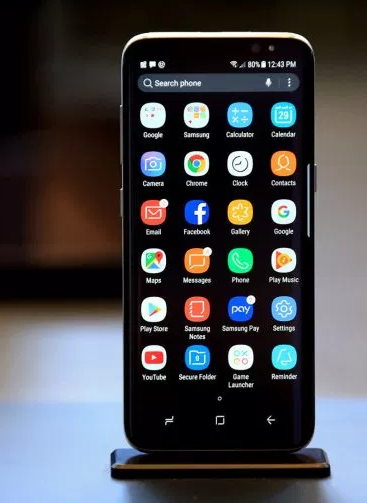 The problem of unresponsive navigation keys is linked to the Samsung Pay app and setting it up in the device can solve this issue. It appears that the invisible pop-up coming from Samsung Pay blocks the navigation keys and renders them non-functional. However, the pop-box goes away once you set up Samsung Pay. Although the solution seems weird, it is going to work eventually. Are you one of the victims facing trouble with a frozen phone? Often the Galaxy Note 9 may not respond entirely or appear frozen when you try to make a phone call. 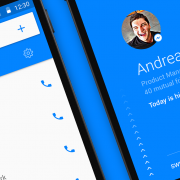 Apart from this, the contacts app or the dialer may not function fully as well. You might face the issue of unresponsiveness frequently or sparsely, but the following methods can cure the problem. You have to press the Power and the Volume Down buttons at the same time and hold them for about seven to eight seconds. After this, the phone turns off, reboots, and starts again. You may not face the freezing issue when you start it all over again, but if you still continue to face the issue, you must try to contact the nearest service center for help. The connectivity of a smartphone shows its true worth as it allows the users to exchange data through the network and with the other devices. You can do it through the default or the third-party applications. Regardless of the app you choose, the functionality will largely depend on the Bluetooth and the Wi-Fi connection. There are simple steps you may need to follow when you face trouble with the connectivity issues in the Bluetooth and Wi-Fi. You can try to restart the phone initially to resolve the issue of connectivity. However, if it is not enough to put an end to the trouble, you can try the other methods as well. Check whether any other application is using Bluetooth or whether apps that have access to Bluetooth are active. Several devices of Samsung have limitations imposed on them while connecting to the other devices due to security reasons. Try to find out whether the same restriction exists with your device as well. The problem can exist due to no other reason than turning on the Power saving mode. 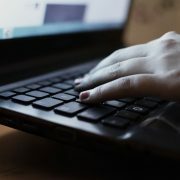 The type and the nature of the data you intend to transfer and its compatibility with the other devices may result in connectivity issues. When you send too many files in a single attachment, you may face this trouble. Be sure that both the devices connected through the Bluetooth have adequate free space on both of them. The problem may arise from a faulty Bluetooth antenna in the device you are using. Turn on Bluetooth in both the devices when you need to transfer data and make sure that it can be seen properly. Not clearing the cache memory of Bluetooth can lead to this trouble. The list that maintains the record of all the devices you have connected through Bluetooth may get too long. You must try to make this list shorter and erase a few you do not need, to get better connectivity. Entering the right passcode is important when you want to connect the Samsung Galaxy Note 9 with other devices particularly when you connect for the first time. You must meet the policies of Bluetooth clearly. However, if the connectivity does not get better with these steps, you can get it checked at the service center. Along with the Bluetooth, you must check the Wi-Fi connectivity issues by restarting the modem to find out whether the problem goes away easily. Check whether you have turned on the Wi-Fi option in the device to know whether there is instability in the internet connection. Turning OFF the firewall for the operating system of the device can resolve the problem. Try to find out whether other devices are connected through Wi-Fi as well. There are limitations when too many devices are connected through Wi-Fi. Finding out whether there are any formalities or add-on restrictions related to the connectivity of the device when it comes to the Wi-Fi connection can help. Checking whether you have entered the right password or if you have updated it recently may resolve the issue. Try to avoid the apps from running in the background if they have permission to access the Wi-Fi connection. Checking the configuration of the modem can resolve the problem and disable or remove the restrictions that imply when you connect this device with the other gadgets. You can try to erase the name of the connected device and check whether it gets connected easily to the other devices or add it once again with Note 9 to see if it works. Checking the recommended mode of the Wi-Fi settings can also resolve the issues. Users may face problems of a freezing camera while using the Note 9 device. 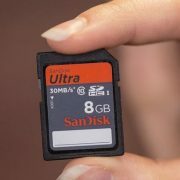 The issues seem to occur most of the time when you need to take images, clear the cache, record videos, or change the micro SD card. Restarting the phone may hardly have any effect on this problem. Unfortunately, there is no fix for this problem yet, even though Samsung, the makers of the device are trying to work out a solution. The best you can do is to take the phone to the company and ask for a replacement if the problem does not cure automatically. The Samsung Galaxy Note 9 uses an earpiece and a lower-sized speaker at the top of the device for delivering the sound in stereo mode. However, the earpiece located at the top may not function consistently for several users when they make calls in the speaker mode. Often the top speaker works when you move the phone, but cuts out most of the time. The top speaker functions for videos and music that must never kick in for the speakerphone. Probably, the sensor present on the top of the device may cut out the earpiece speaker causing trouble. You can go through the pages of the troubleshooting guide from Samsung related to the speakers to find out a potential solution. If you fail to find the right solution, you can always get a replacement for the device for the best results. You may suddenly fail to access the apps on this device when the app drawer button goes missing. You can swipe up the screen anywhere at the bottom of the device to locate the missing button. Pressing and holding down on the blank space of the screen will zoom out to a layout and edit page and exhibit the background image and the widget options. Tap the Settings button and then the Apps button and choose the Show Apps button to locate the familiar button at the bottom of the screen. Even though the 4000 mAh battery of Note 9 is robust, users have complained about the slow or wireless charging. 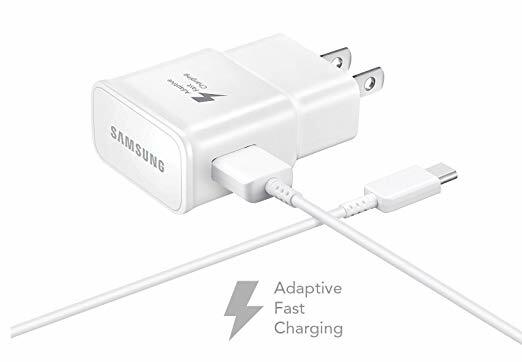 Using the cable provided in the box along with a wall plug that supports the fast charging mode of Samsung, and can resolve your problem. Abstain from using an old charger that has been lying around for some time at home or in the office. With the wireless charger, you must use a wall plug that supports the fast charging mode. The S Pen is one of the most attractive additions of Samsung Galaxy Note 9, but the functioning of this component can go wrong as some users have expressed concern with the S Pen not working on some parts of the screen. 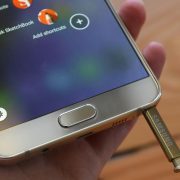 Check whether you a have a protective case for this device that comes with a magnet as it can interfere with the functioning of the S Pen and the device. Take off the case and see if it facilitates smooth functioning of the S Pen. If it does not work, the chances are that the S Pen may be defective and the only option you are left with is a replacement. 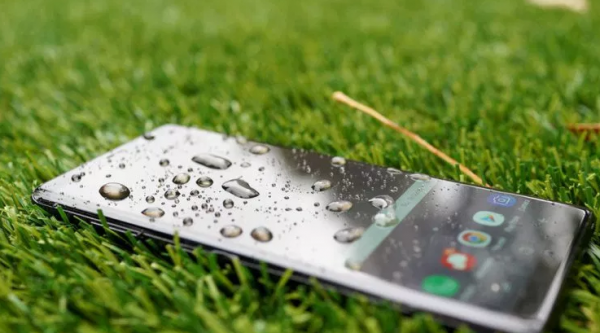 Just as the previous mobile phones of Samsung Galaxy Note 9, this device is water and IP68 dust-resistant which implies that the phone can get a little more than wet and function properly. When you immerse the phone in about five feet depth of water, it stays normal after this, although the speaker may sound funny and weird for some time until the phone dries out completely. The speaker grill located behind the metal frame of the device may be covered with water and you have to let it dry properly or tap the device against the palm to drain the excess water. Try to avoid charging the phone for about an hour after it becomes wet to avoid trouble. Checking the apps you have installed in the device is essential and be sure that you download them from an authentic source such as the PlayStore. Check whether any other device is connected to the phone through Bluetooth or the Wi-Fi hotspot. Try to check if the problem still persists when you remove the back cover of the phone. Try to keep the cache memory clean to avoid trouble. Several errors and bugs can interfere with the functionality of the apps you have installed on the Note 9 device. All that you may need is to follow a few steps to ensure that the apps function properly and smoothly. You must update all the apps you are using on the device. Avoid those apps with bad reviews. Do not change the recommended app settings of the phone. Storing the app data in the memory of the phone instead of the SD card can help you avoid trouble. The Samsung Galaxy Note 9 comes with a set of excellent features; but, for the first few days of using it, a lot of activities continue, as the apps sync data with the cloud or the phone starts to settle, and you might feel that the performance is sluggish. As you continue using the device for a few more months, you can expect a further dip in the performance, and to avoid this trouble, you can cut down some of those apps you do not need most of the time and expect a better result. If all else fails, you can take the device to the nearest service center or ask for a replacement from the manufacturers. For now, you can enjoy using the features and the accessories that you have got with the phone. If it is a hardware issue causing trouble, you may not attempt to do much but turn towards the quick start guide or troubleshooting options or take it to the service center again for help.